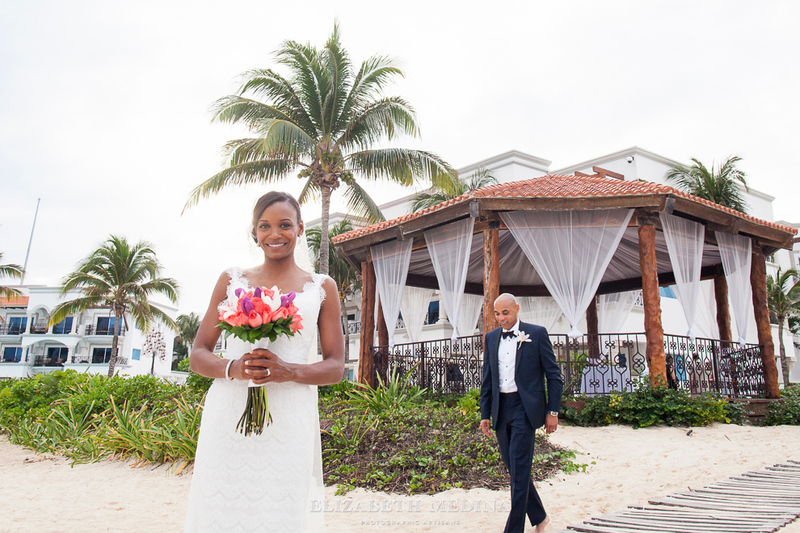 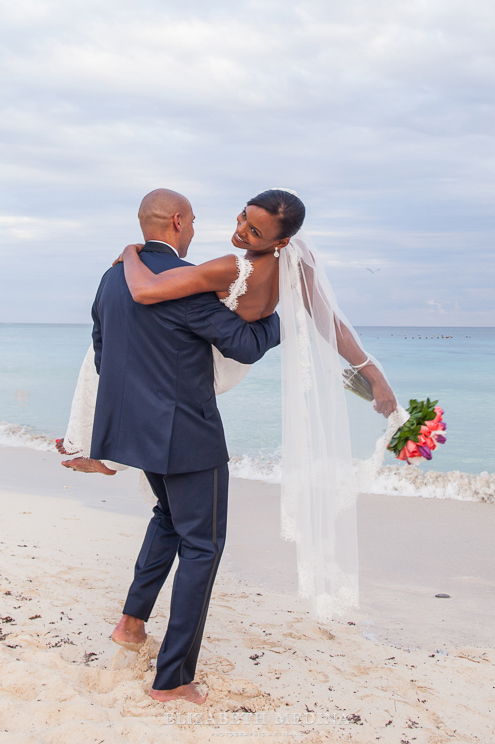 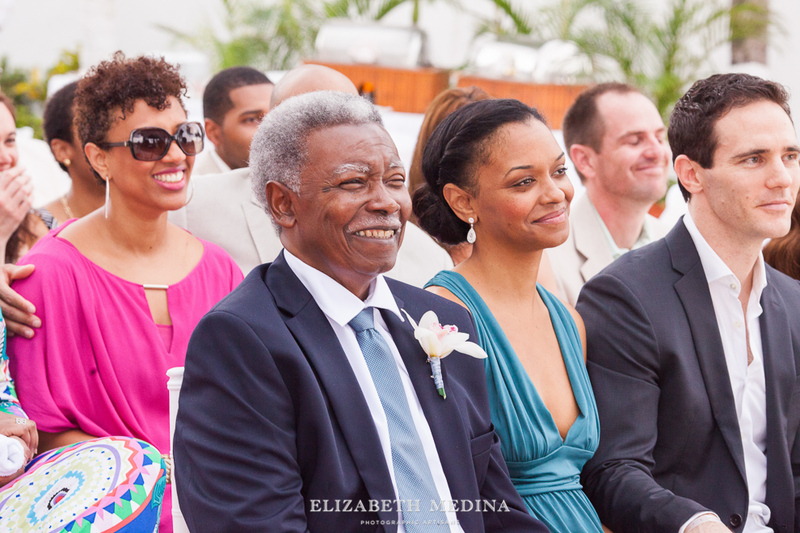 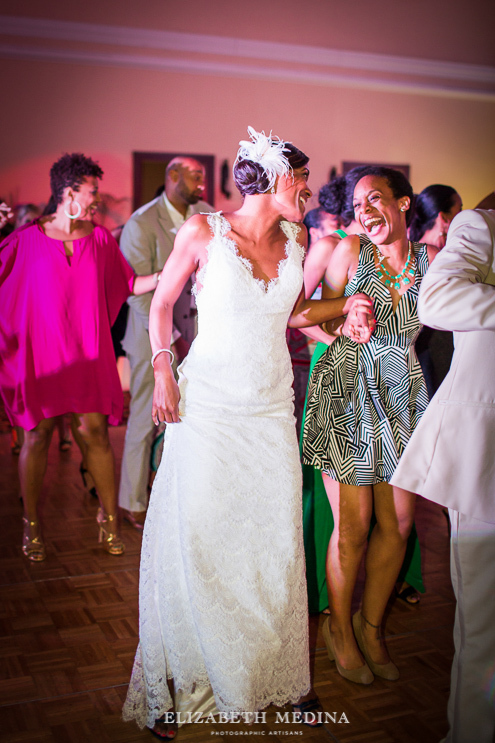 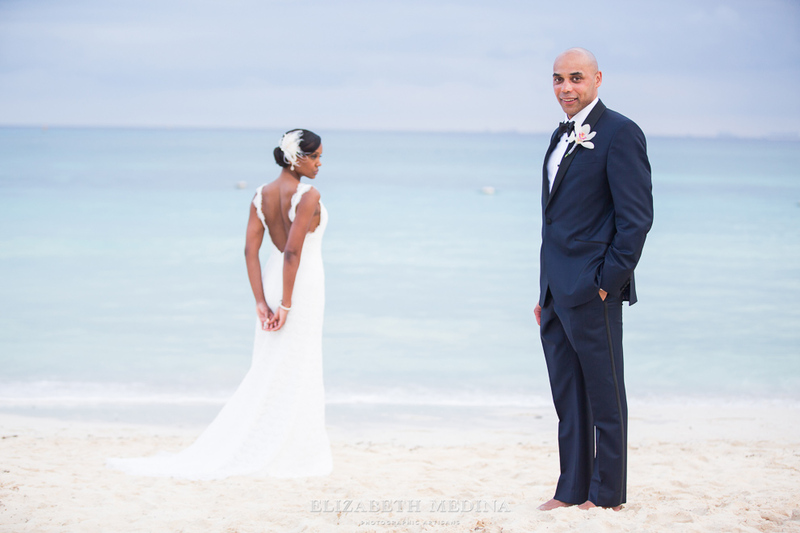 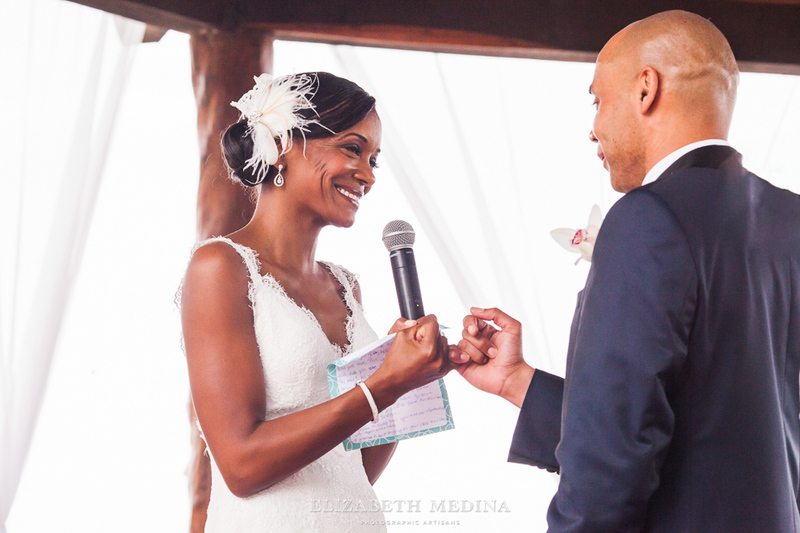 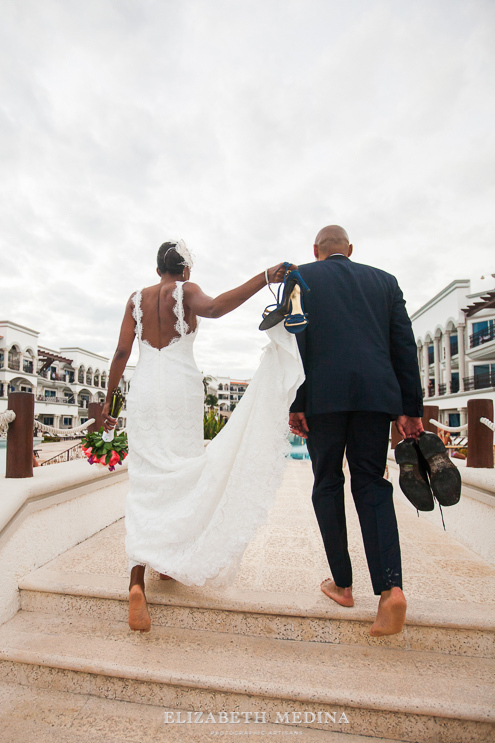 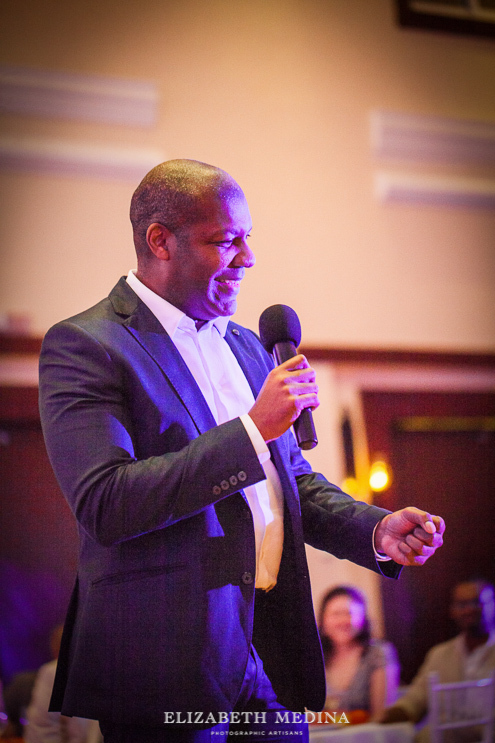 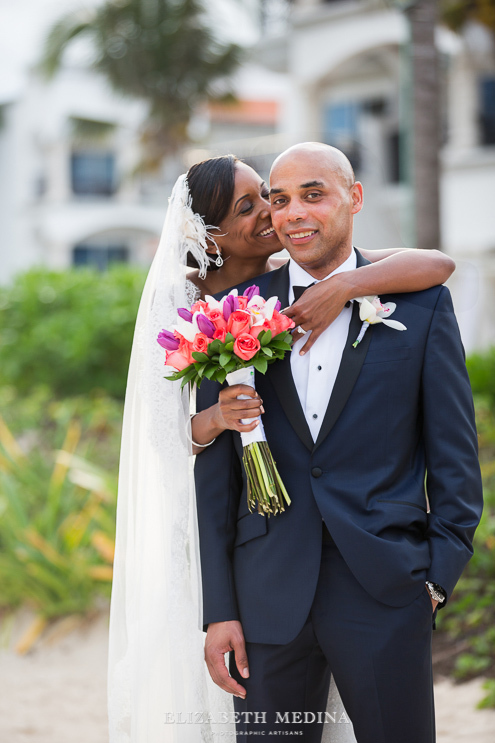 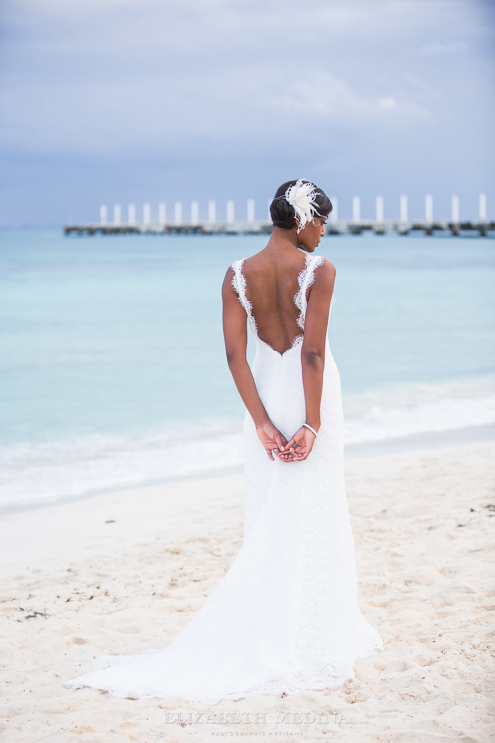 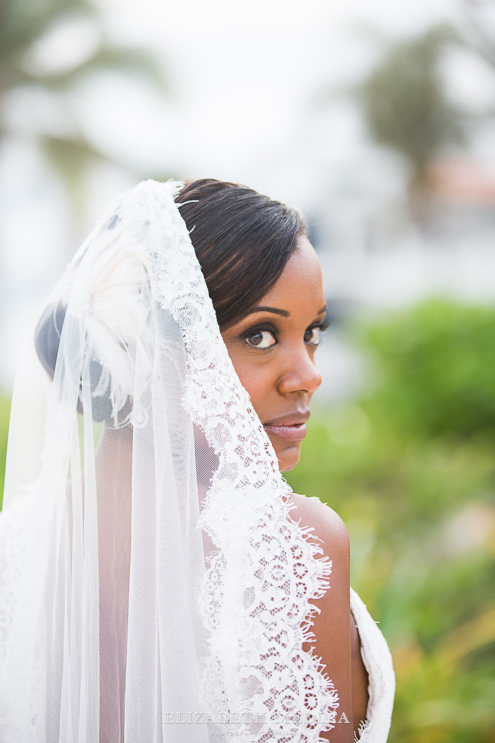 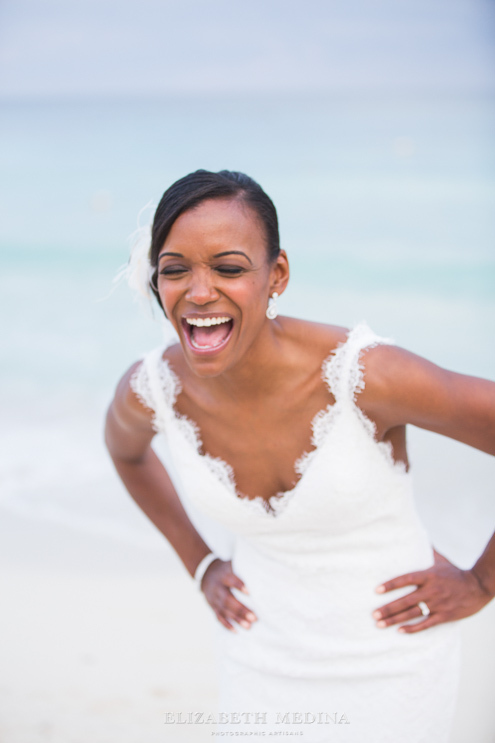 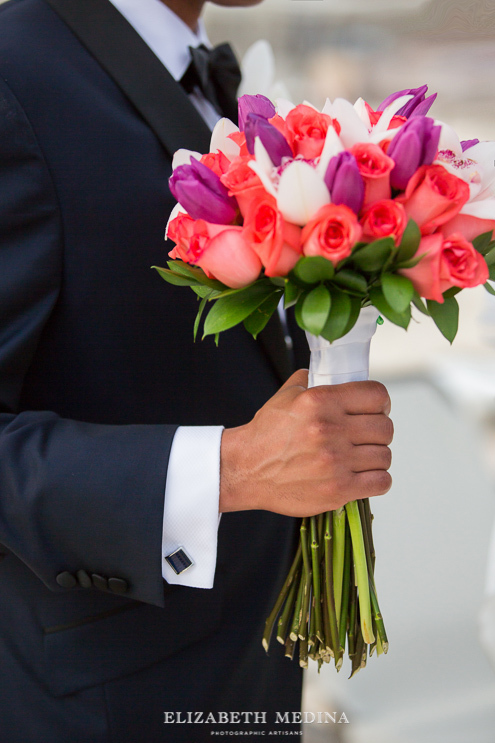 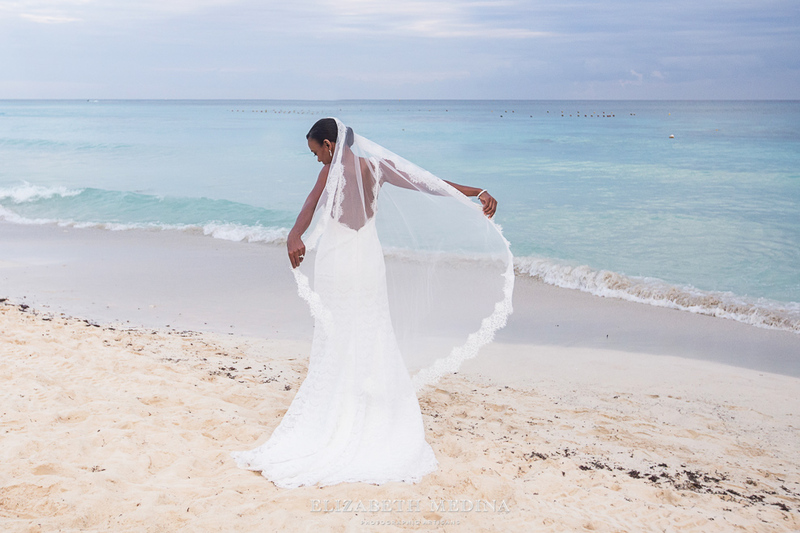 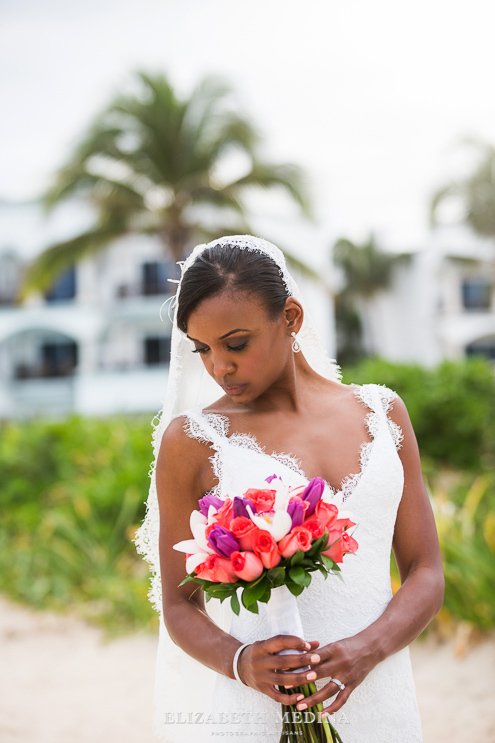 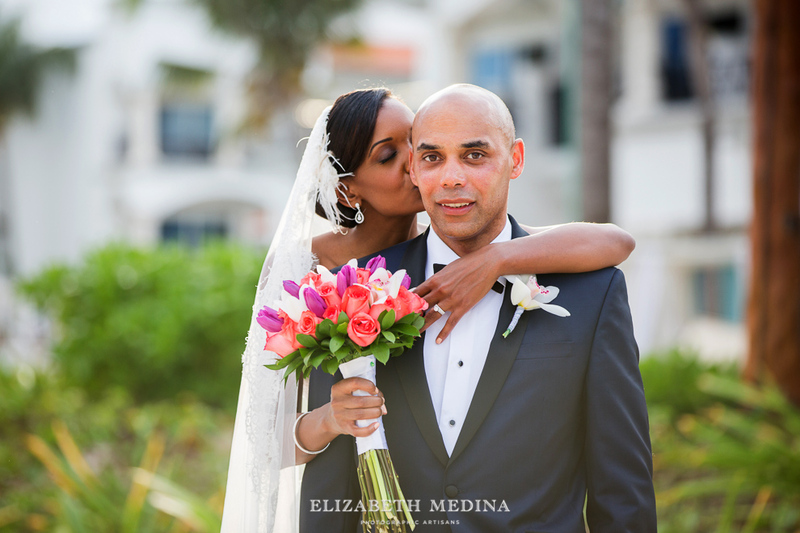 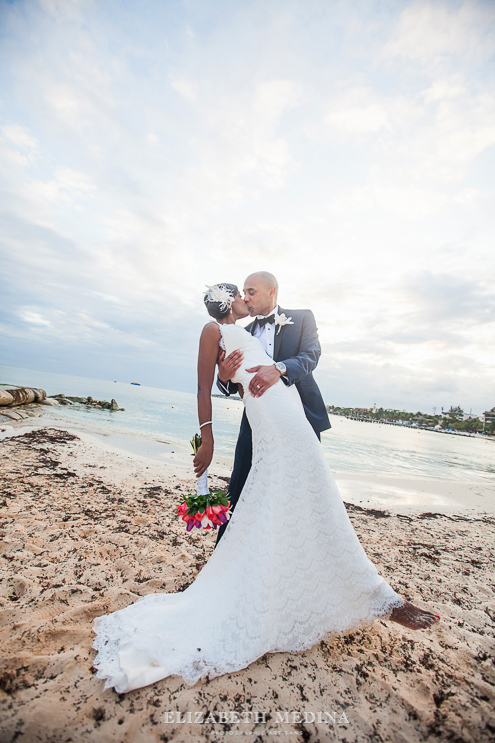 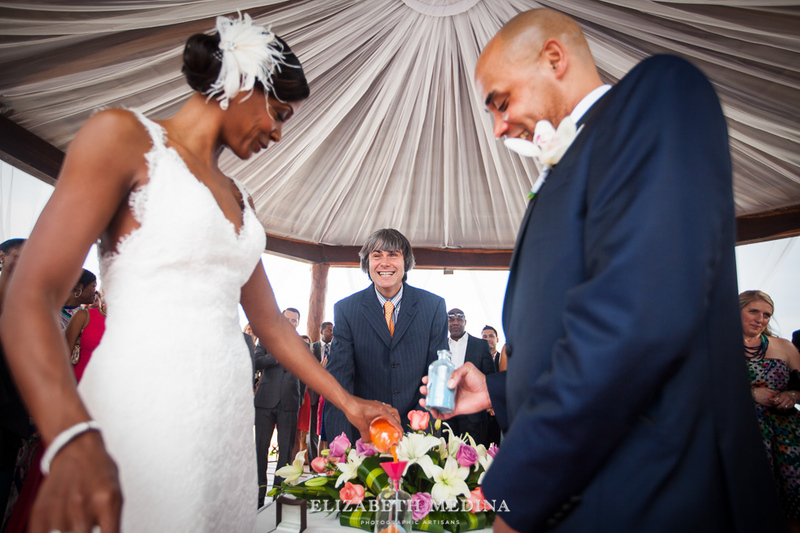 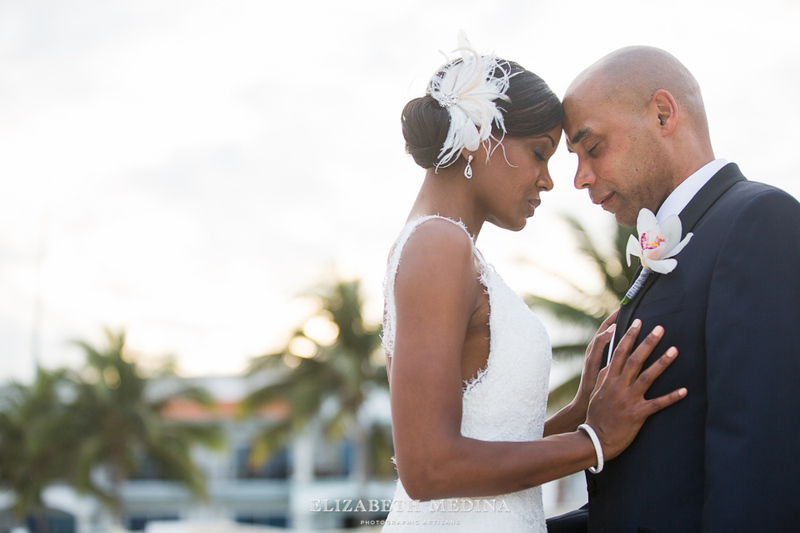 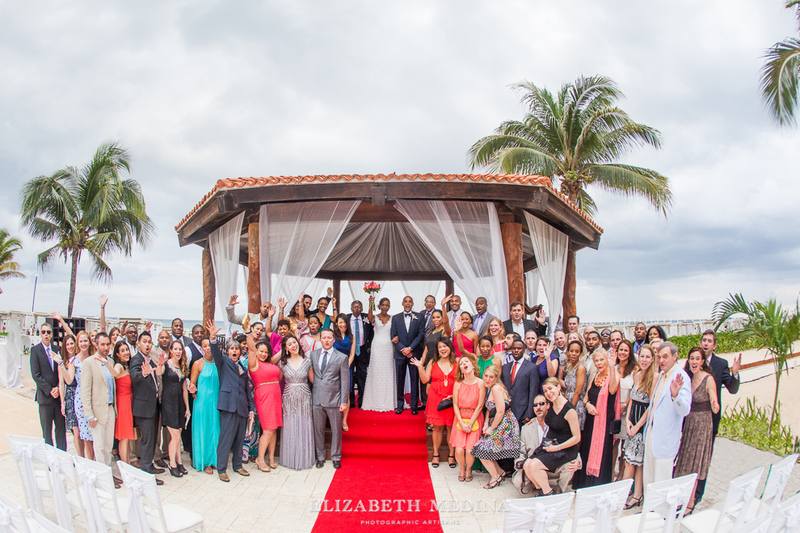 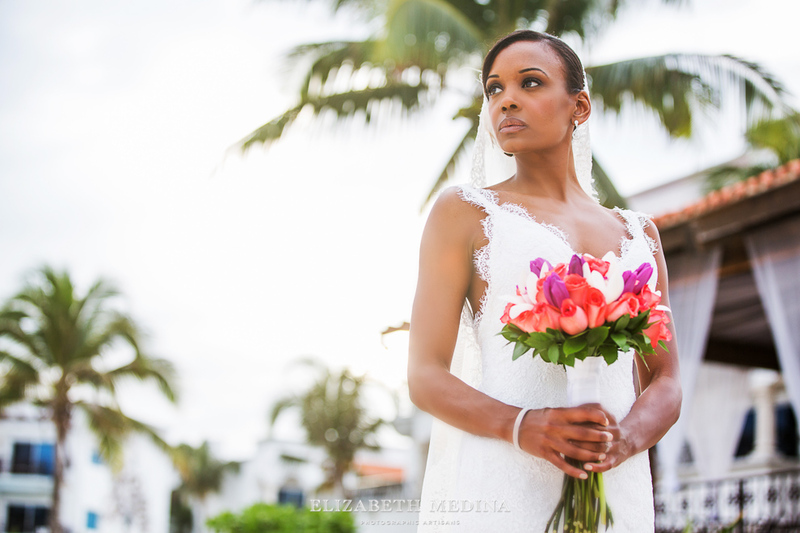 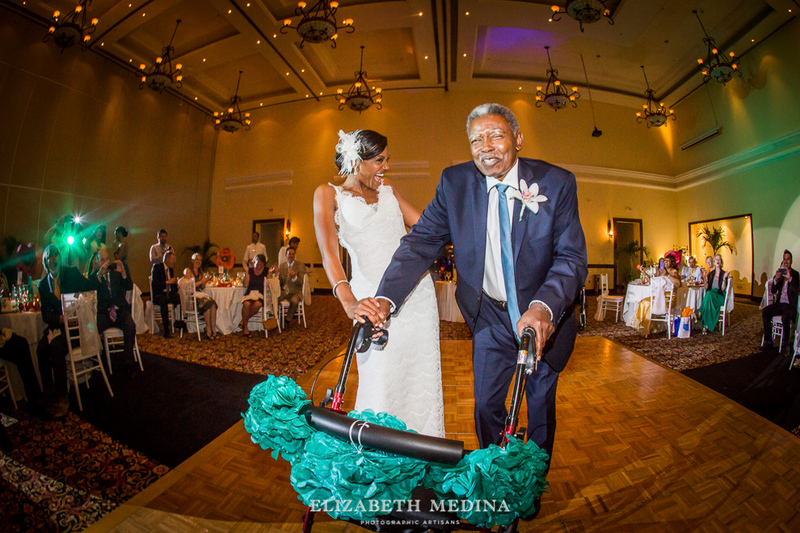 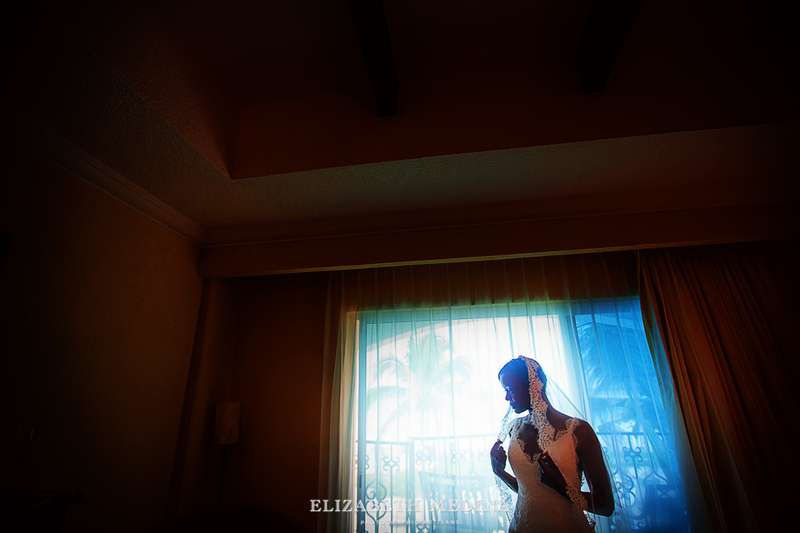 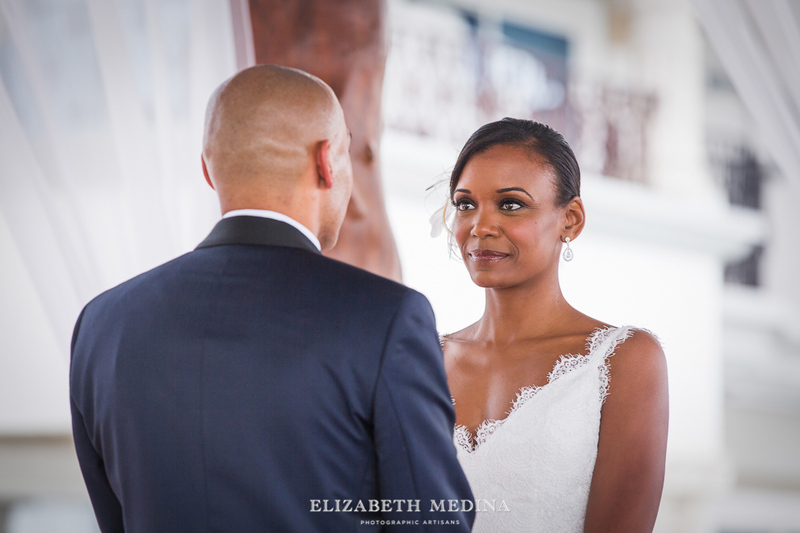 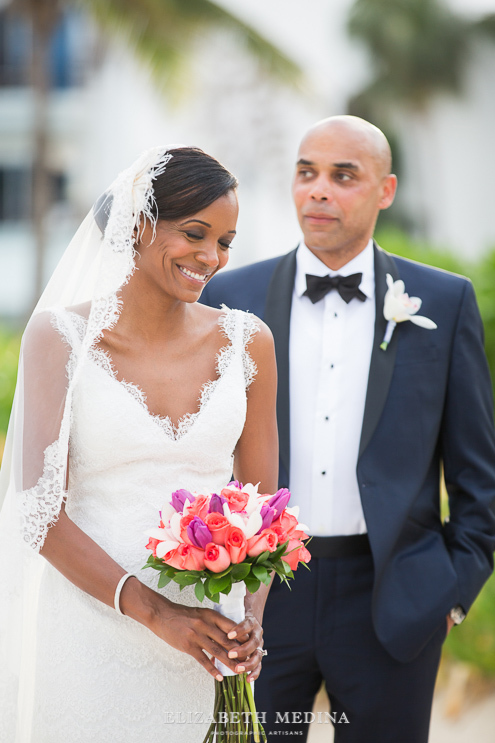 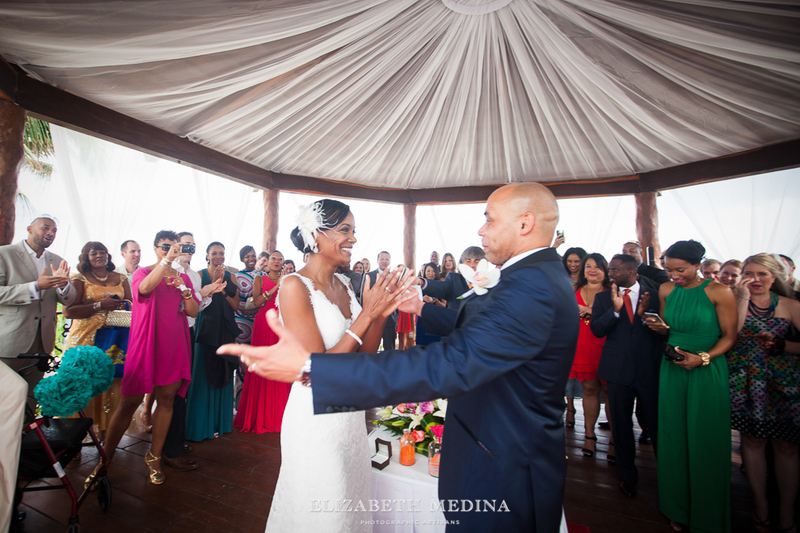 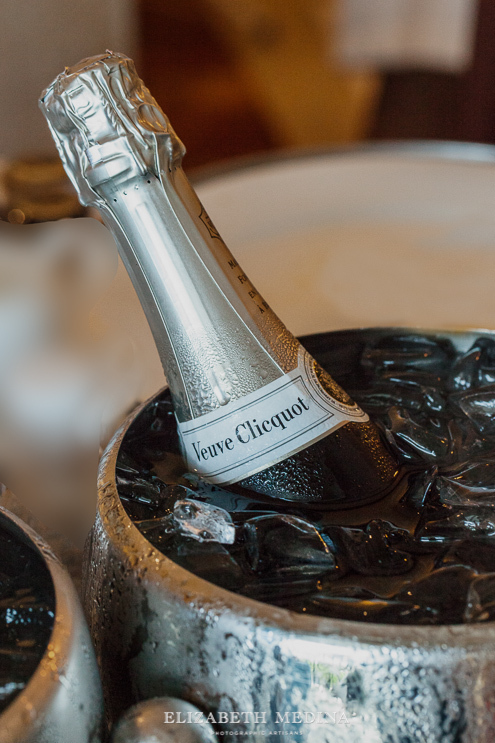 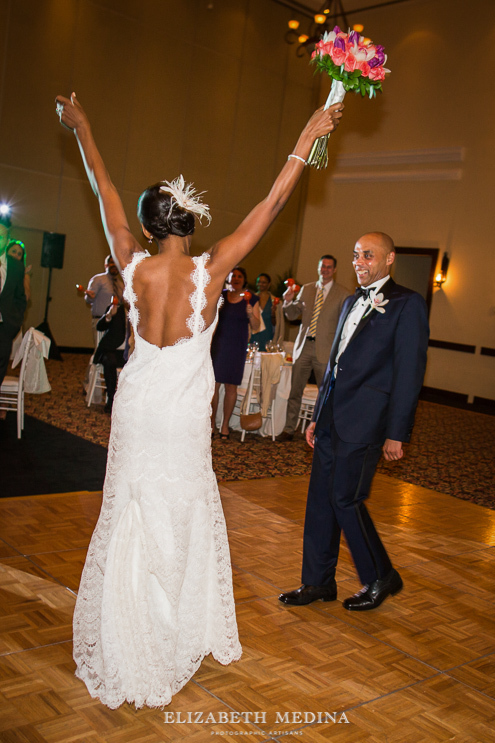 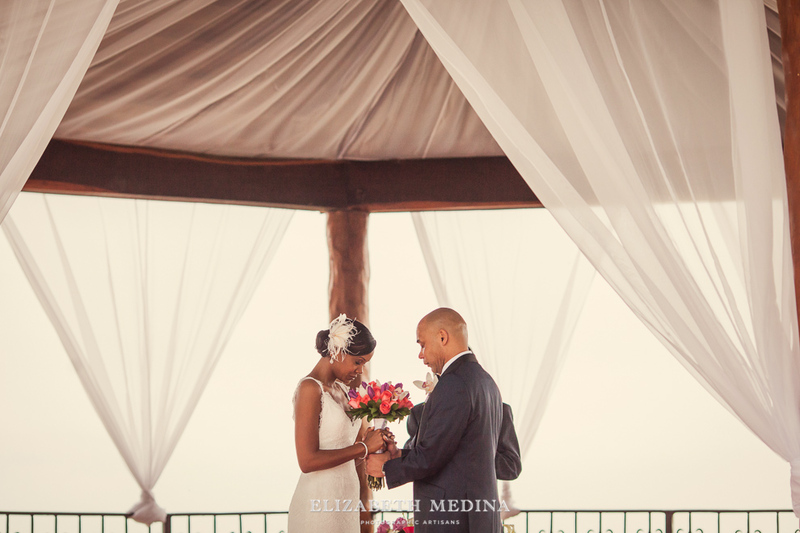 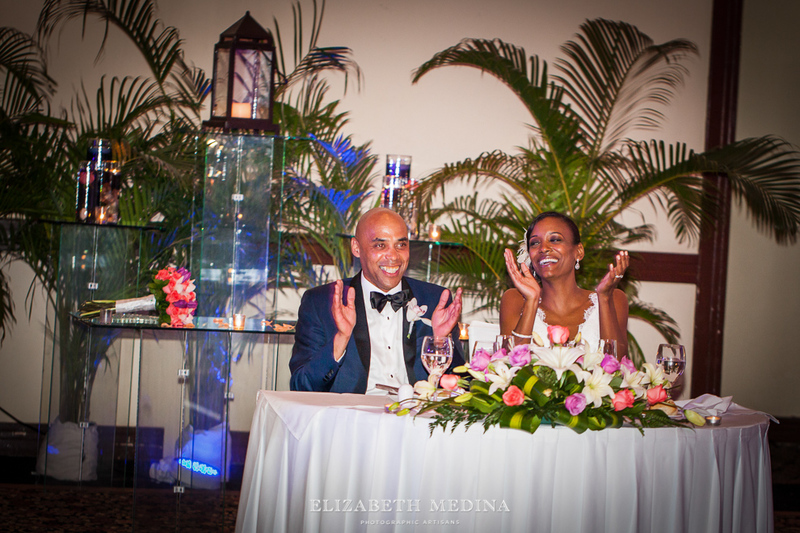 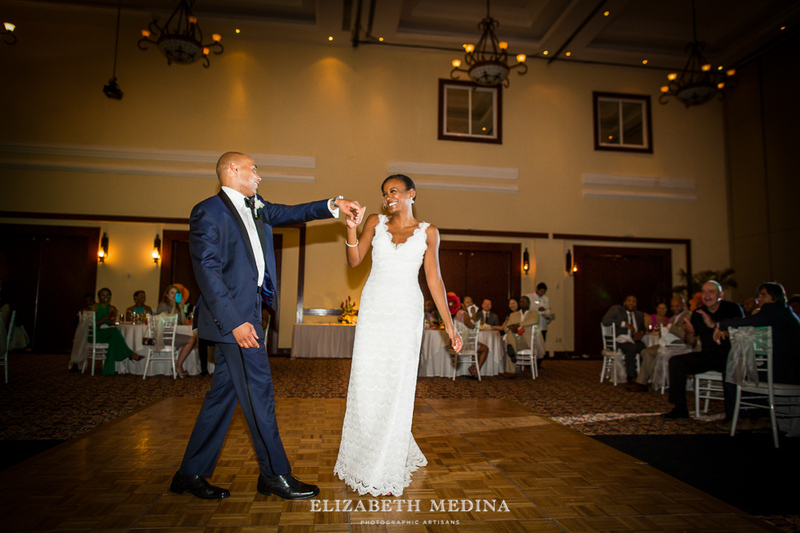 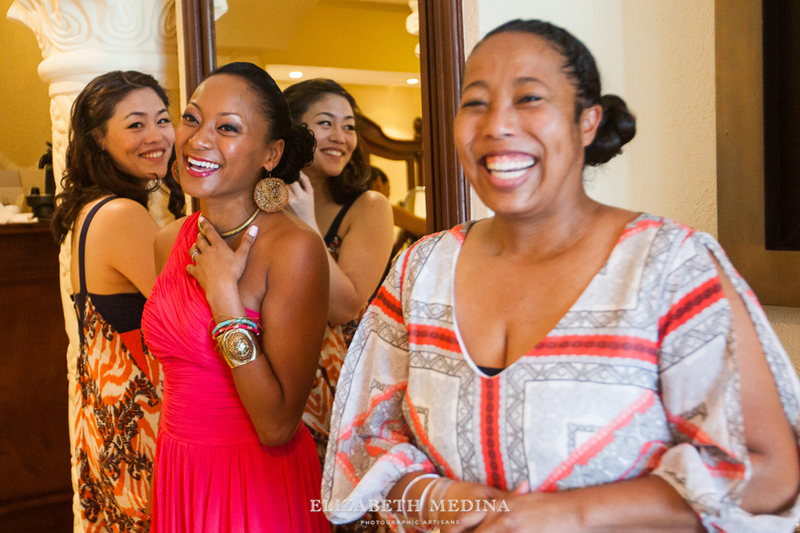 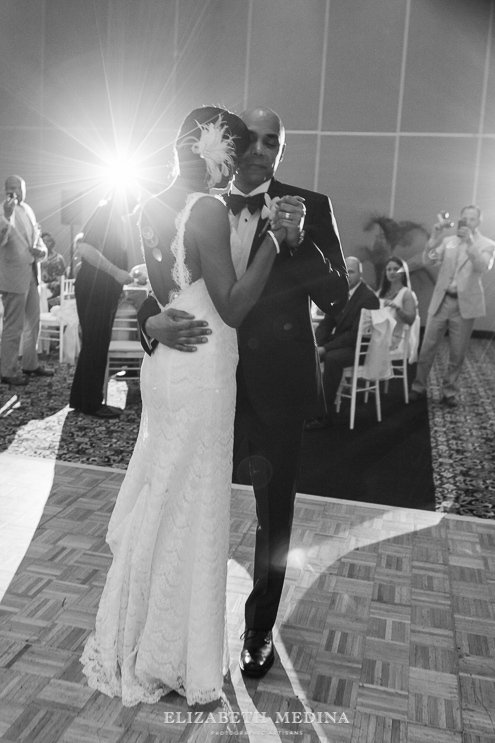 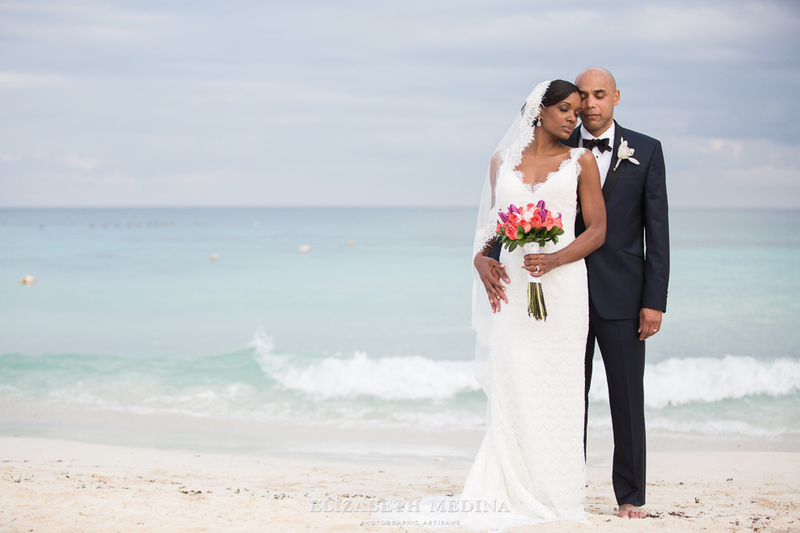 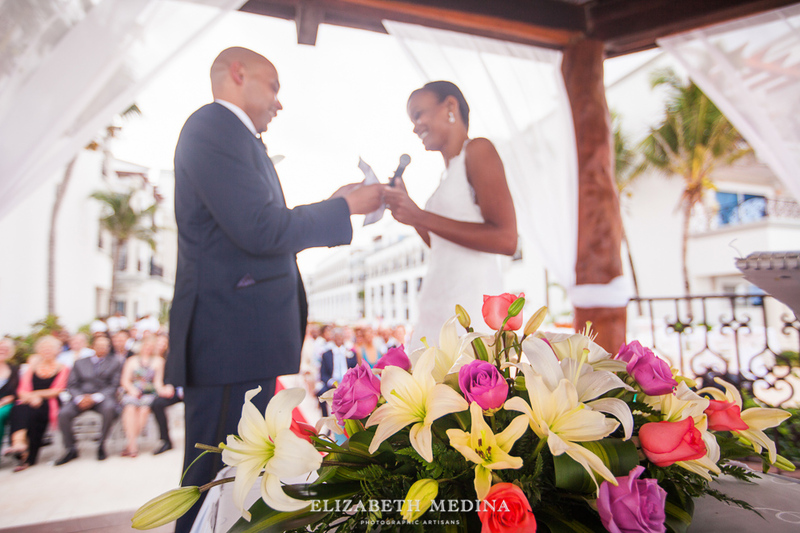 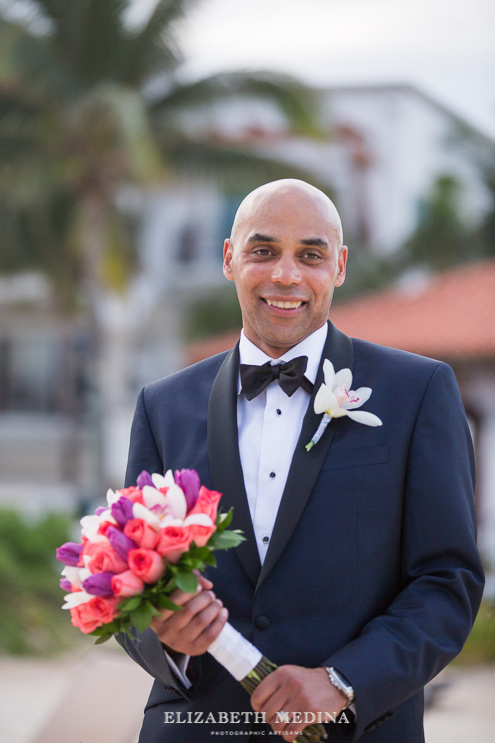 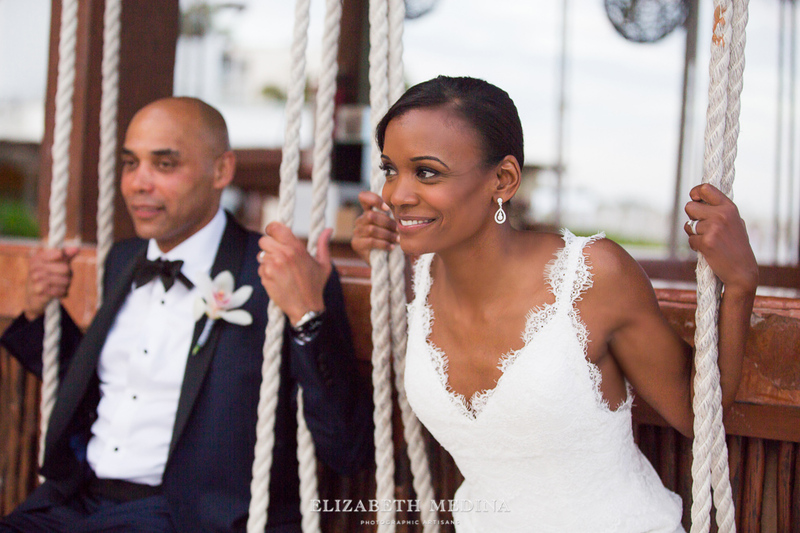 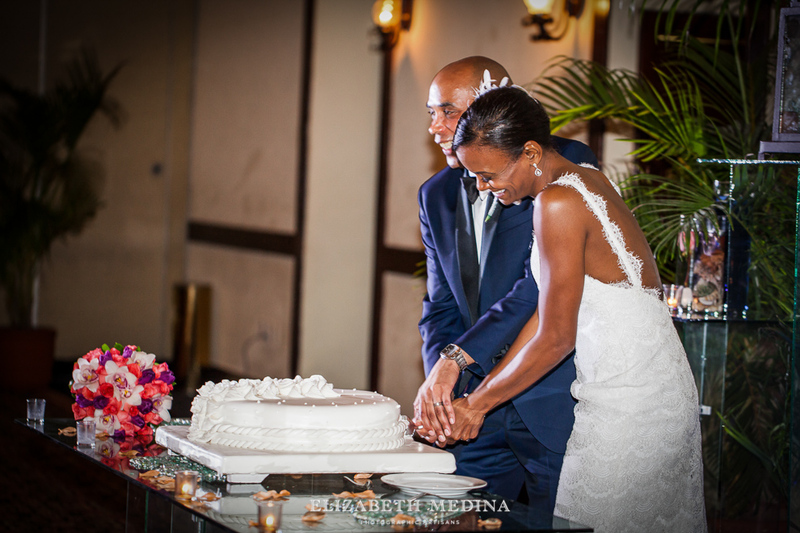 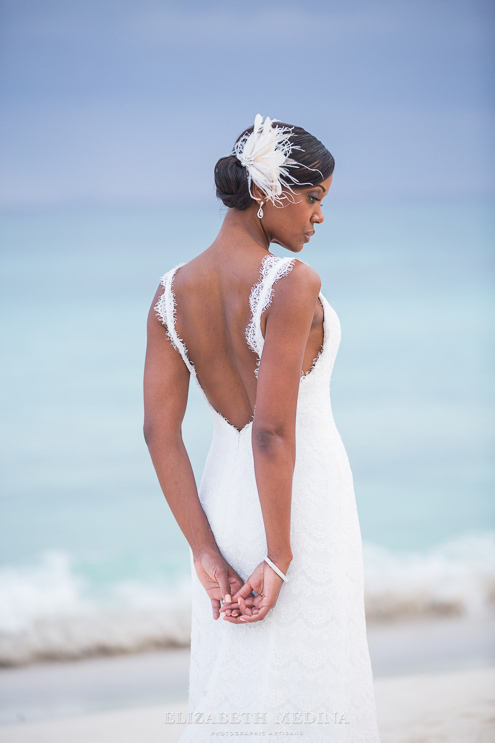 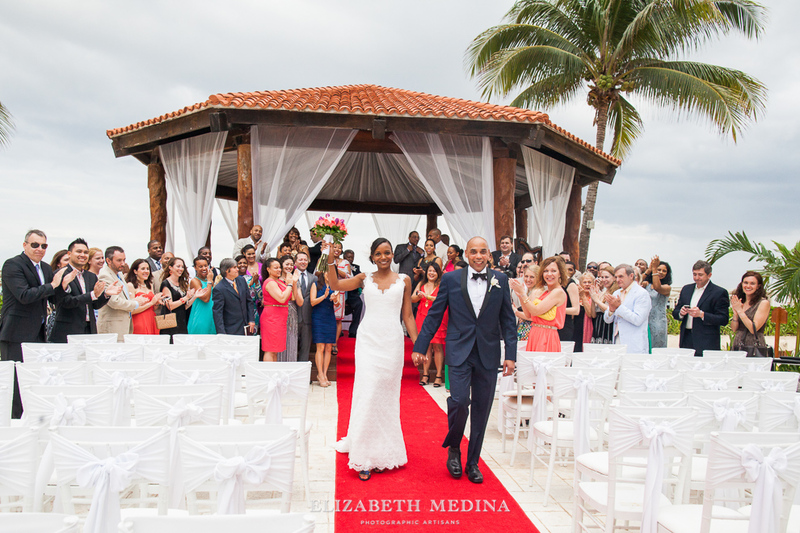 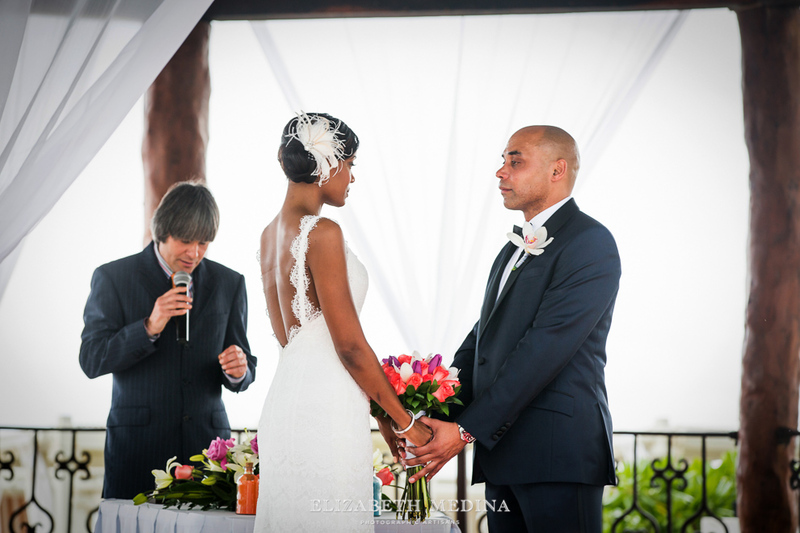 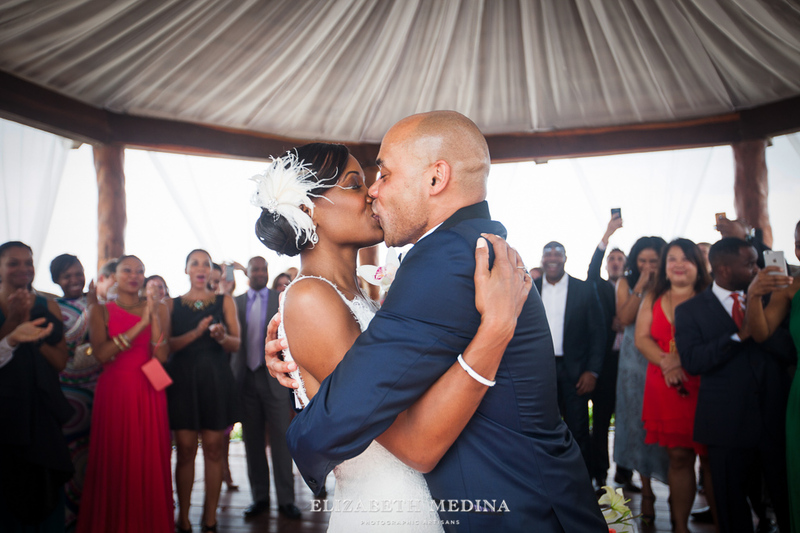 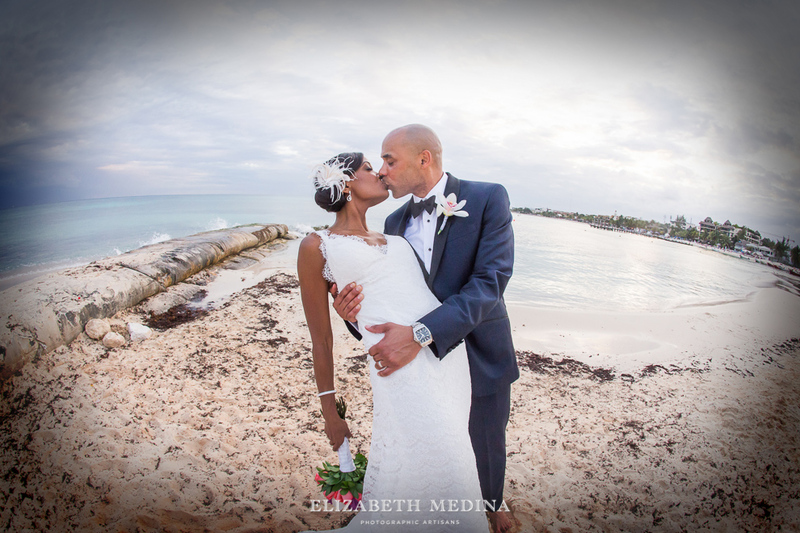 Tasha and Andre were married at the Royal Resort in Playa del Carmen, Mexico. 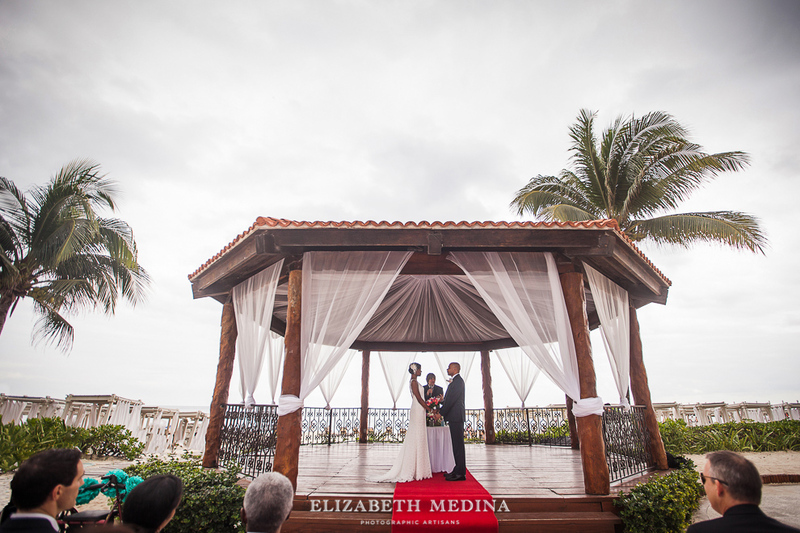 This familiar location has always been one of our favorite Riviera Maya wedding locations, the gazebo is a very nice and private ceremony location and people just always seem to be relaxed and having a good time at the Royal. 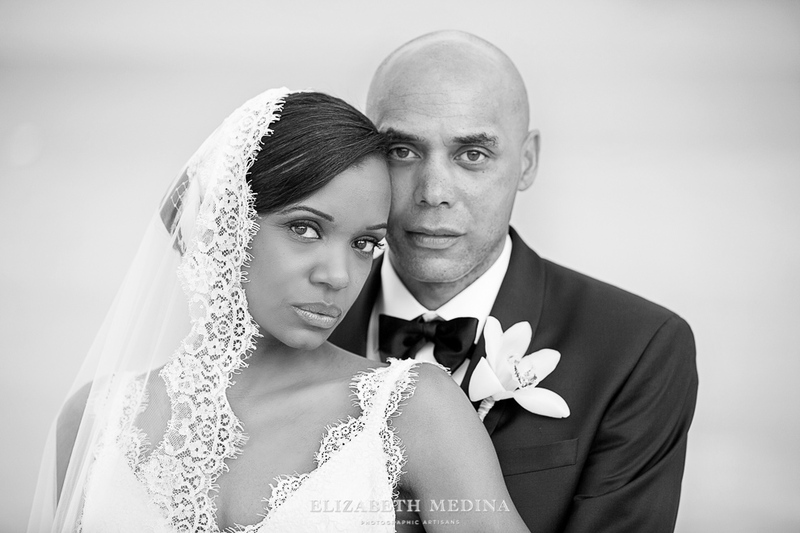 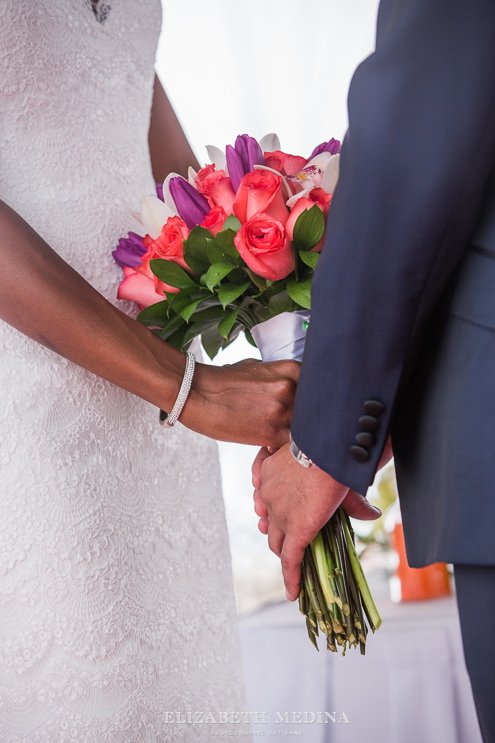 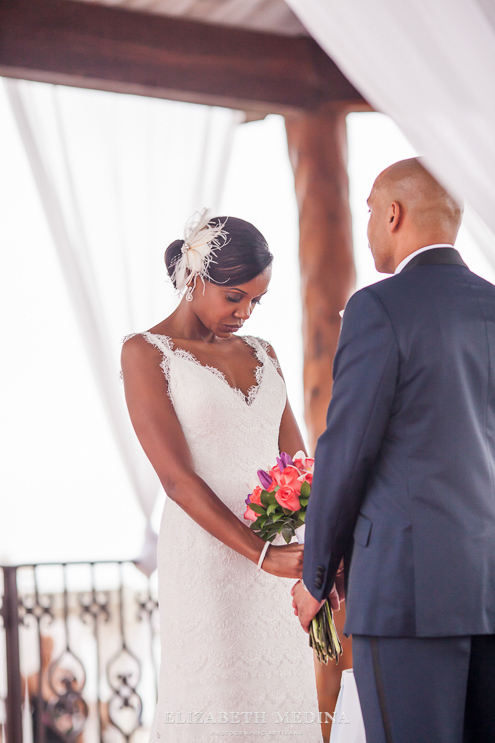 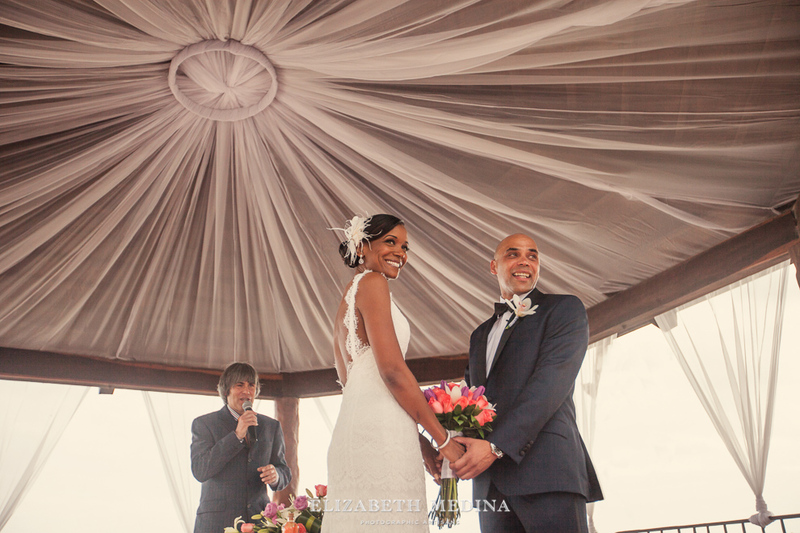 Tasha and Andre had a very beautiful and emotional ceremony in the gazebo surrounded by family and friends. 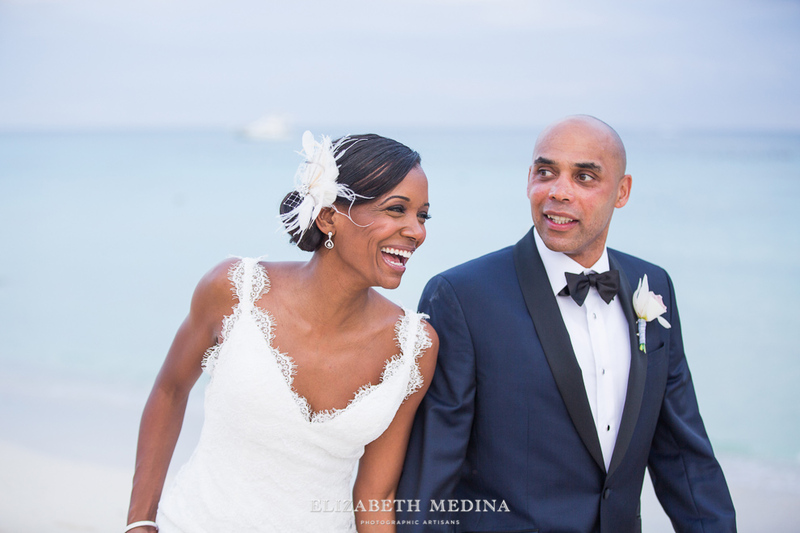 Their wedding look was classic and beautiful, I thought the groom’s navy suit and the bride’s lace veil looked absolutely perfect on the beach. 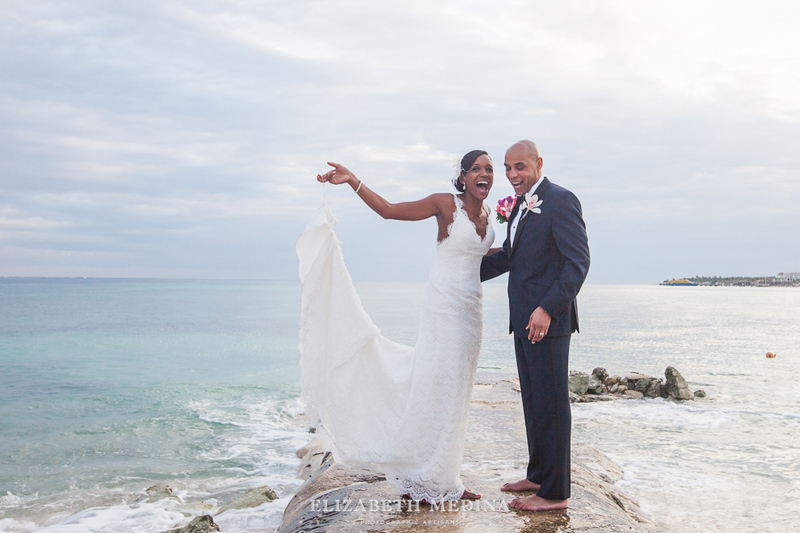 We loved meeting this couple! 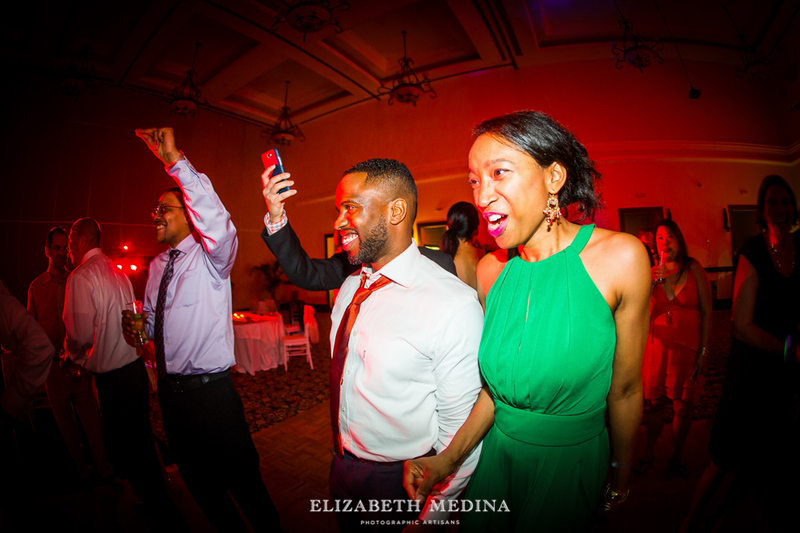 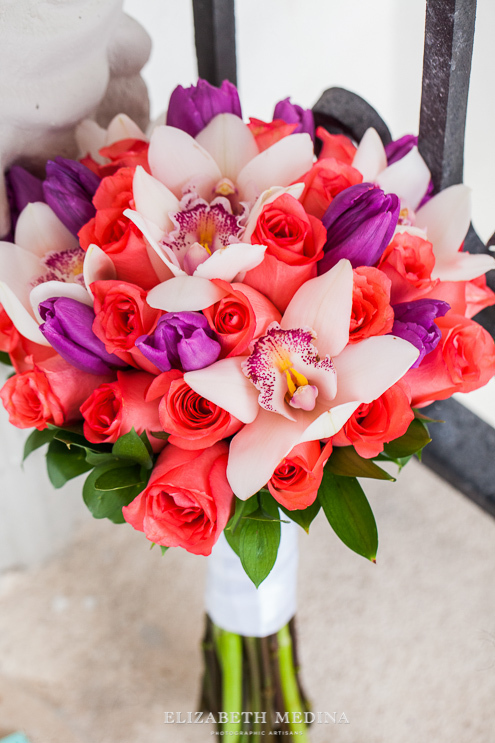 Really since the first time I spoke with Tasha and Andre over SKYPE I really could not help feel like I had known the two of them forever and looked forward to the wedding day. 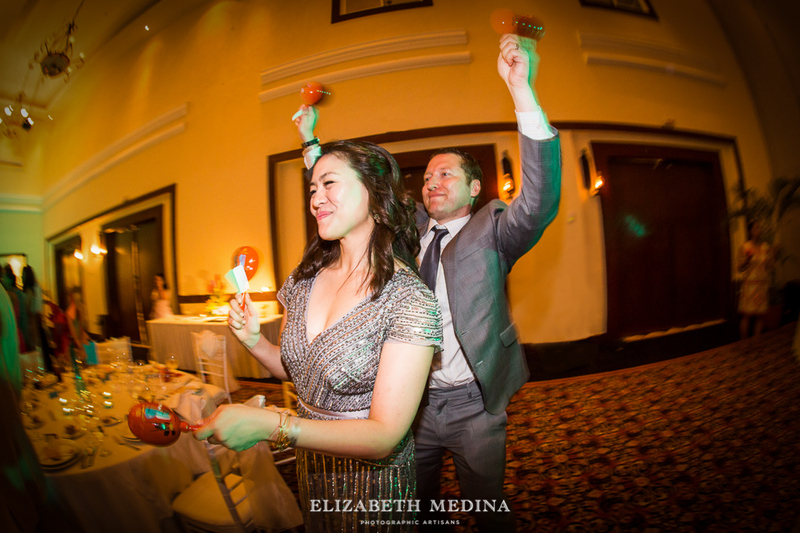 They seem to be the type of couple whose personalities really compliment each other, I am sure that all of their wedding guests will agree that they are just super fun to be around! 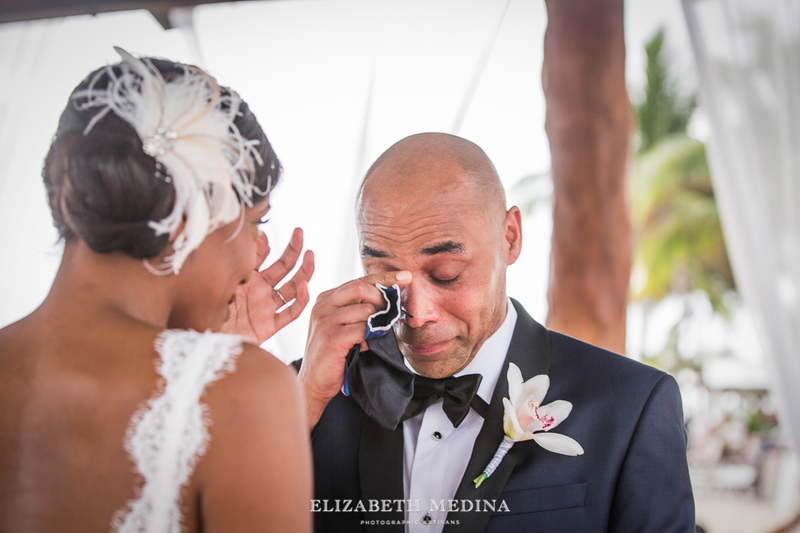 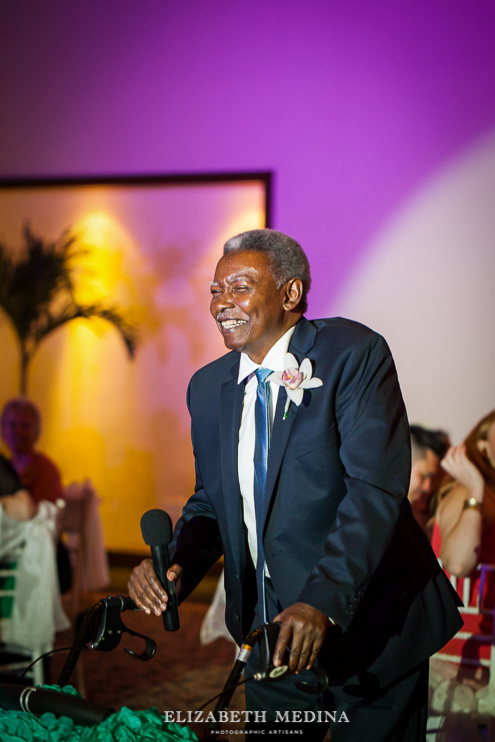 There are so many favorite photographs from this destination wedding, with lots of emotion and such a beautiful bride and groom how could we help but shoot way too many photos? 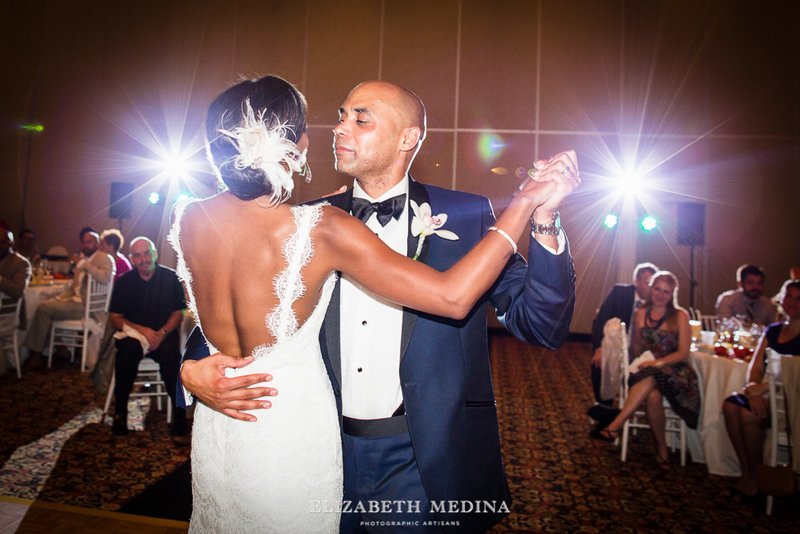 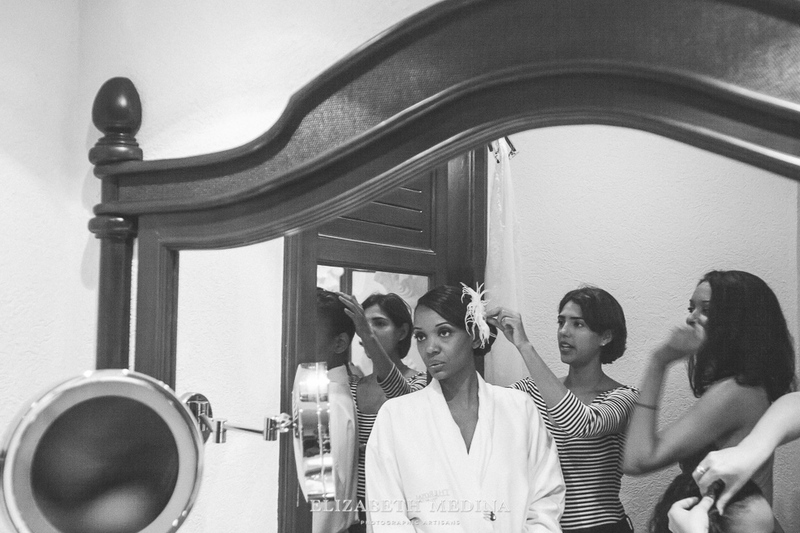 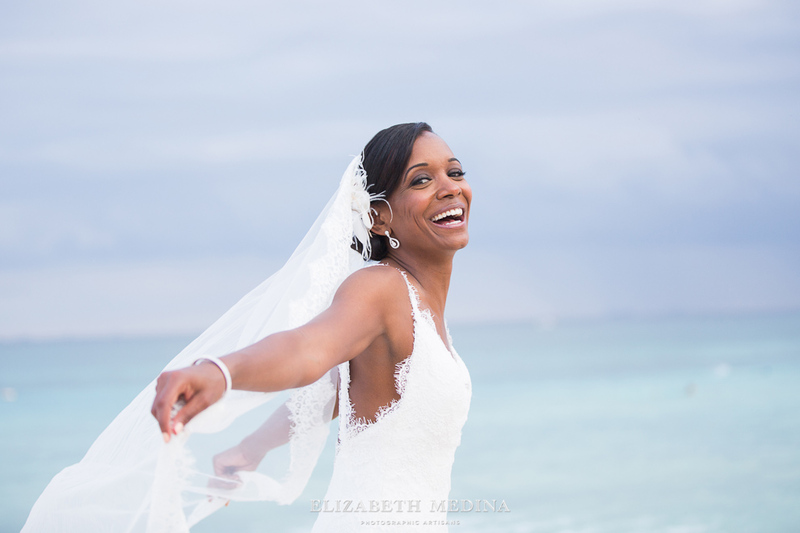 Tasha’s wedding hair and makeup was by an amazing team from Styling Trio Riviera Maya. 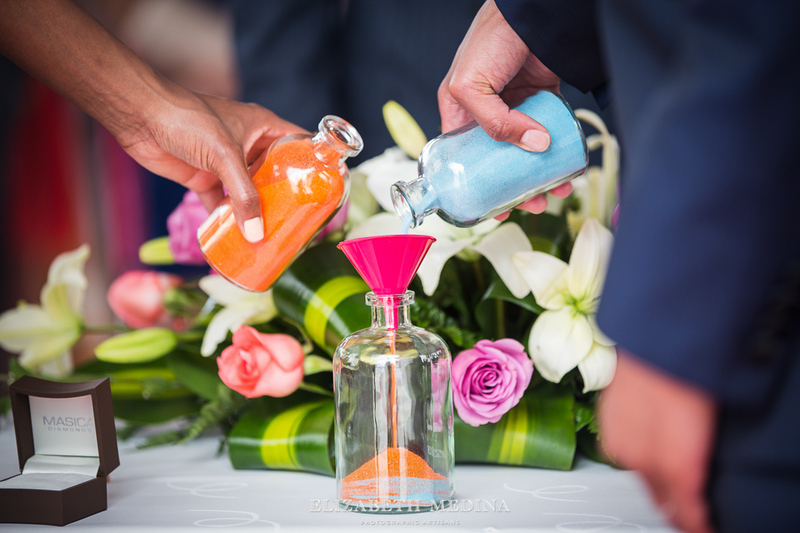 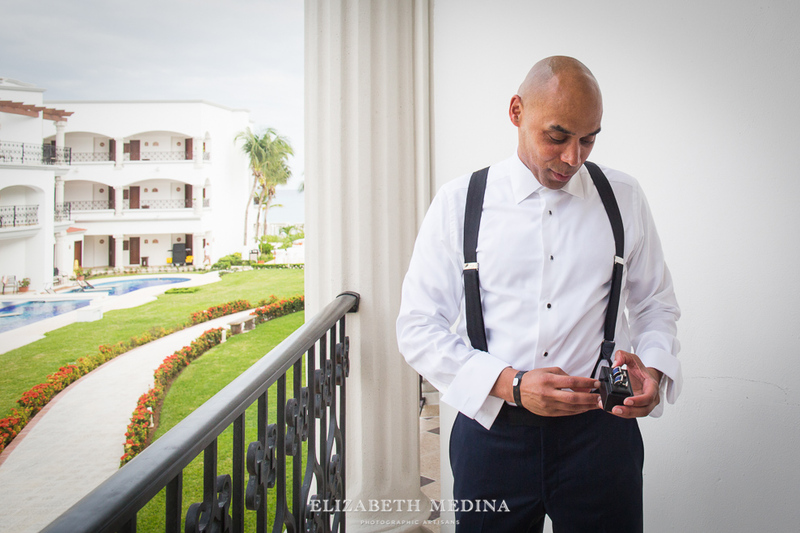 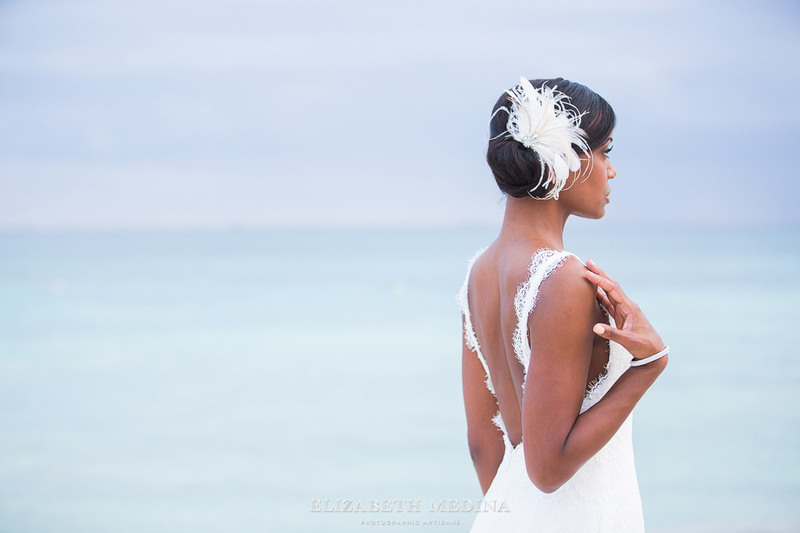 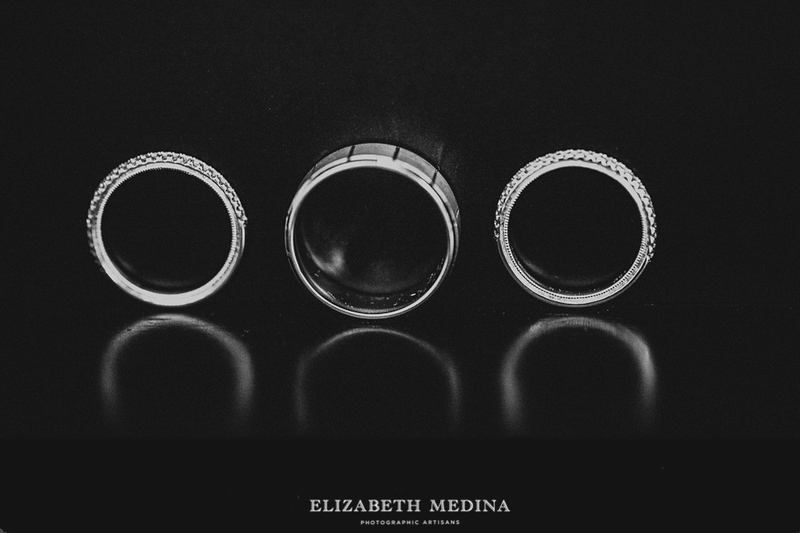 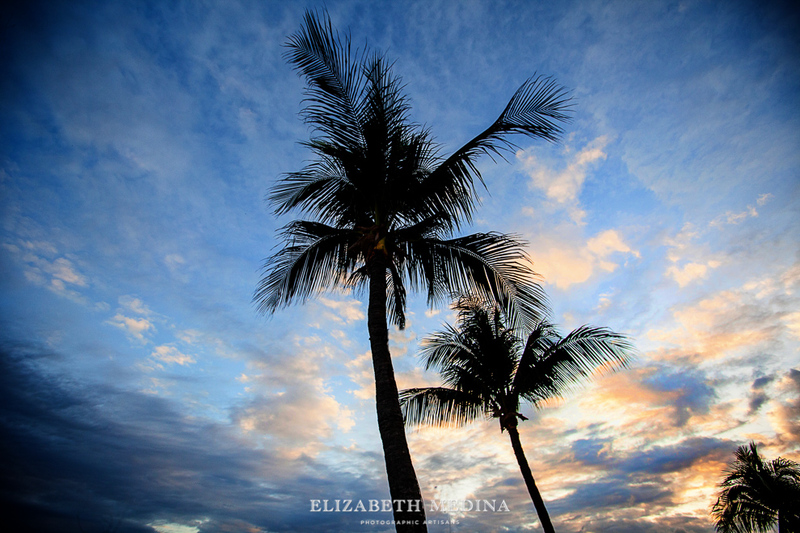 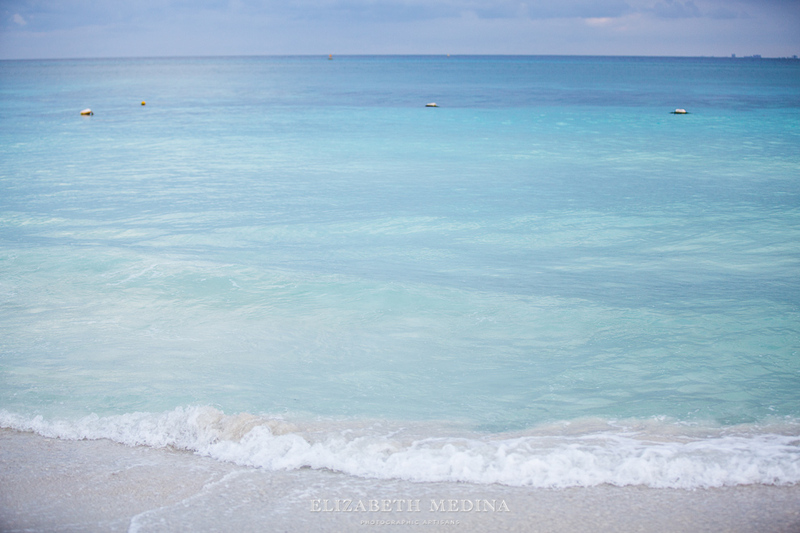 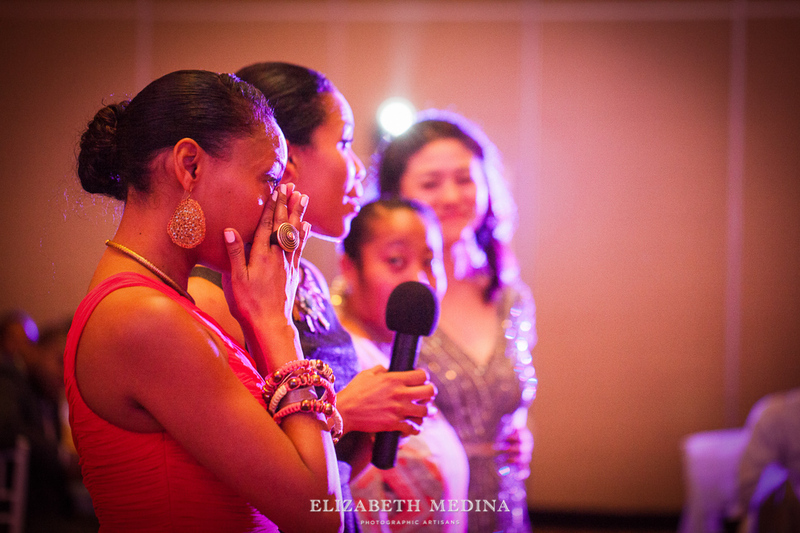 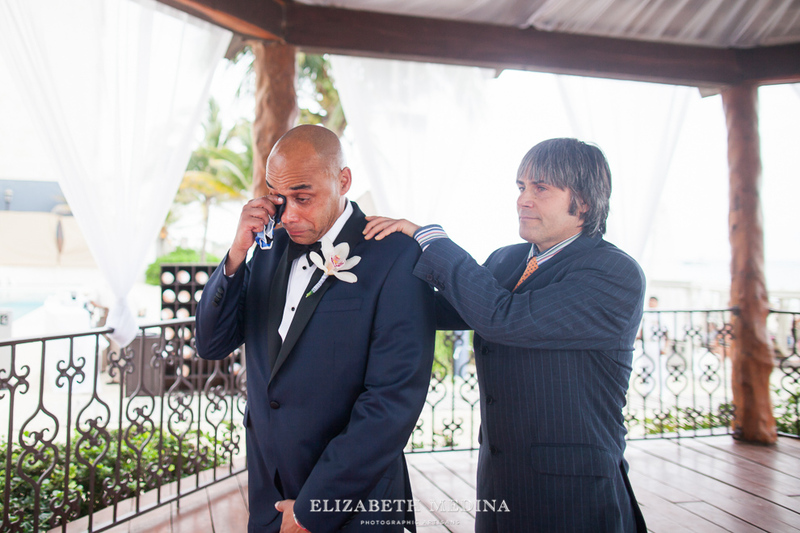 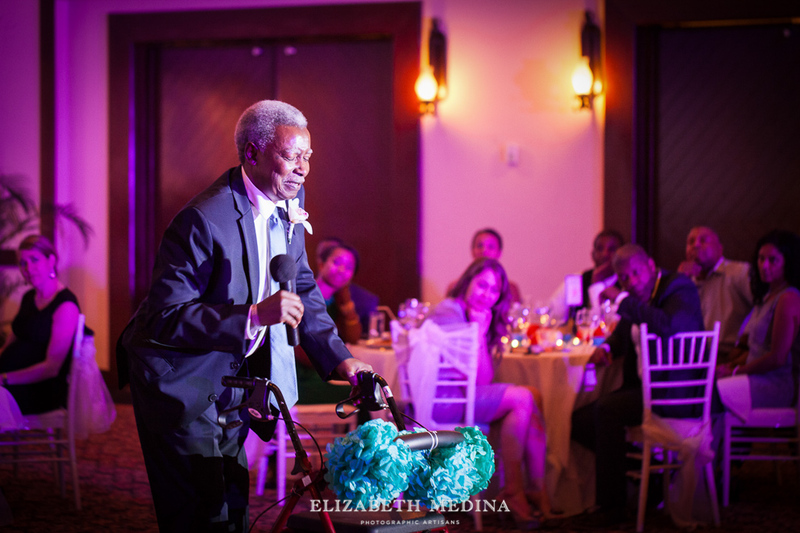 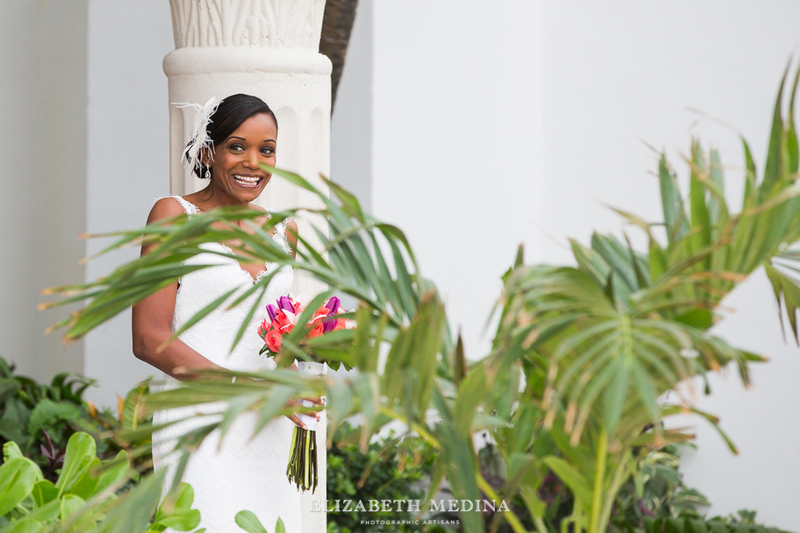 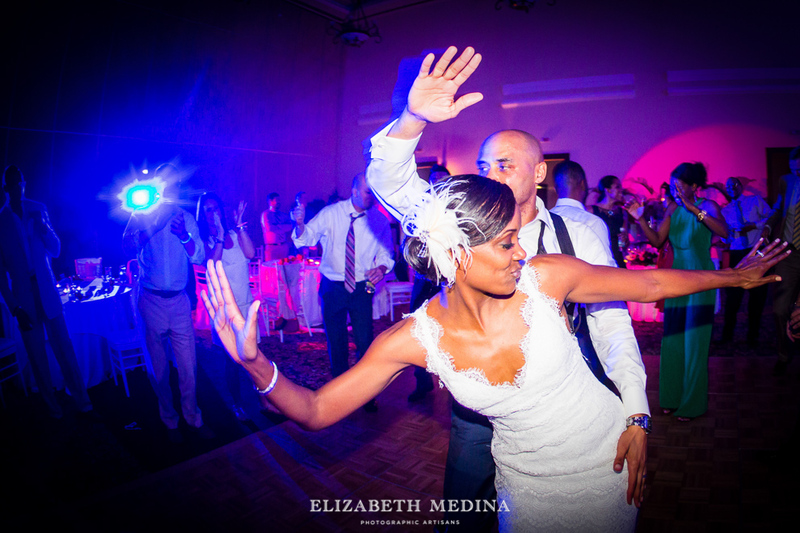 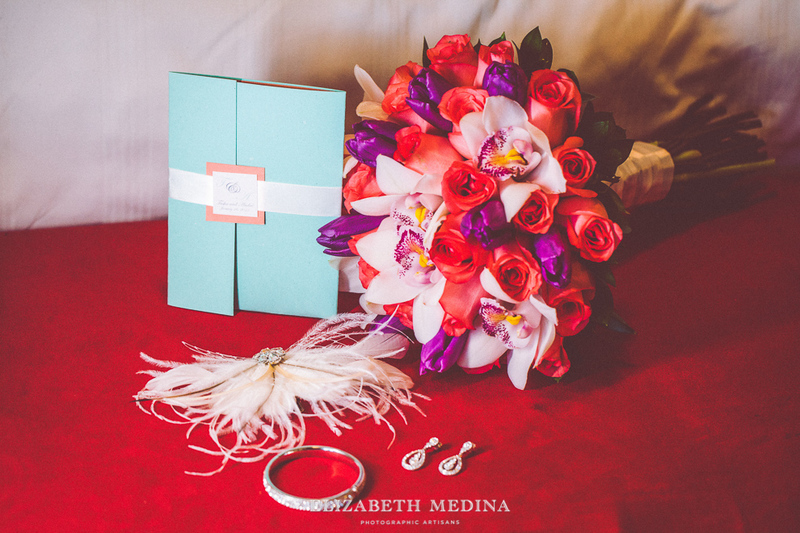 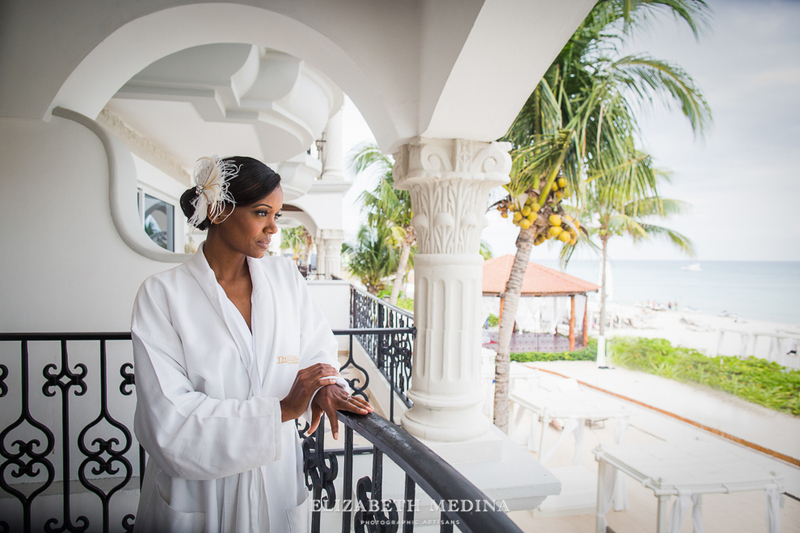 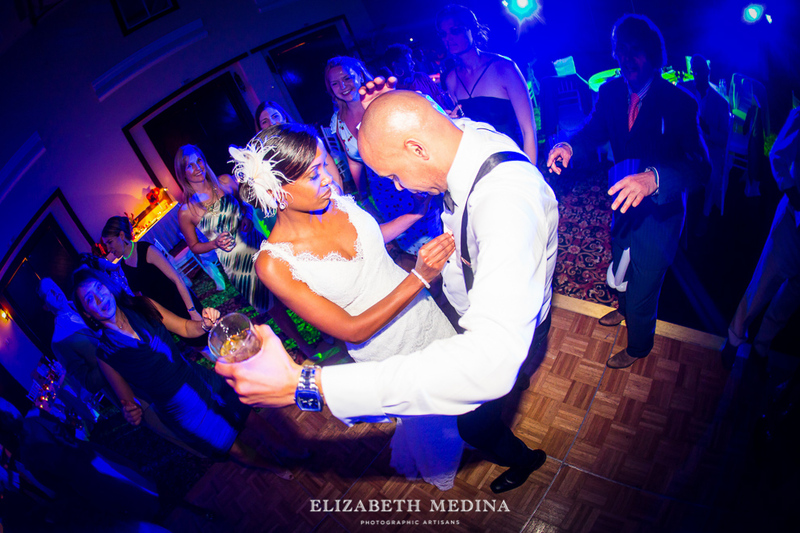 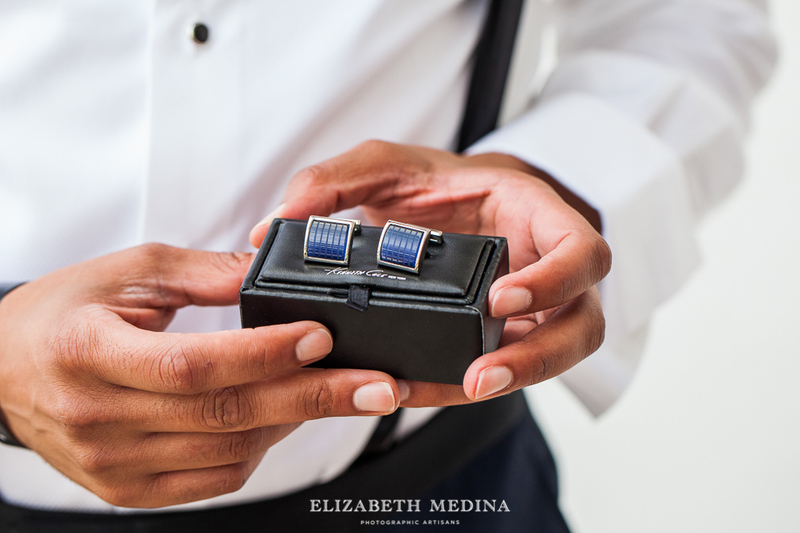 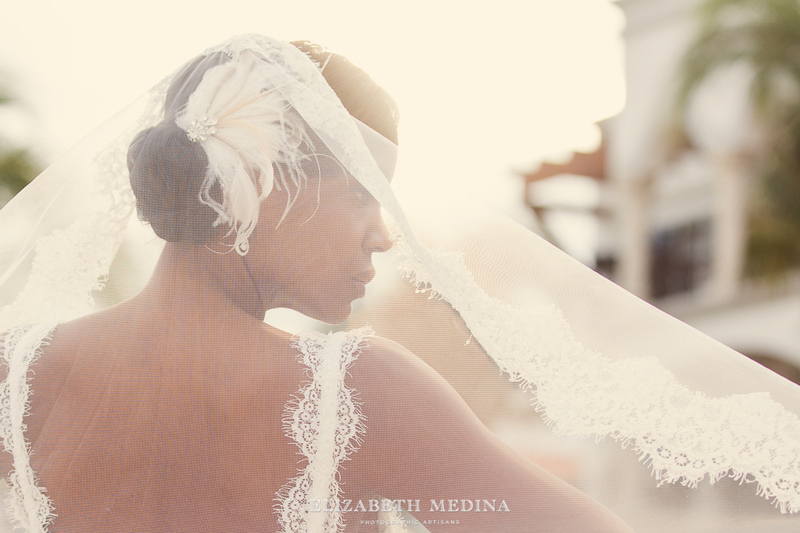 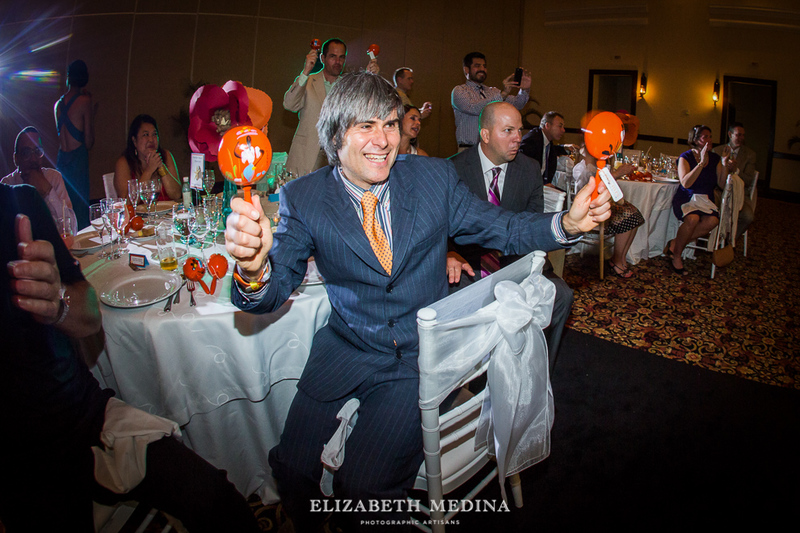 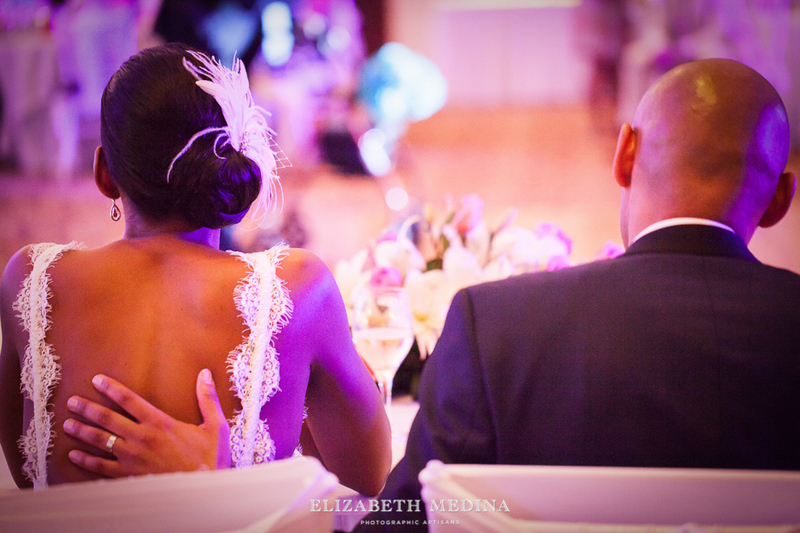 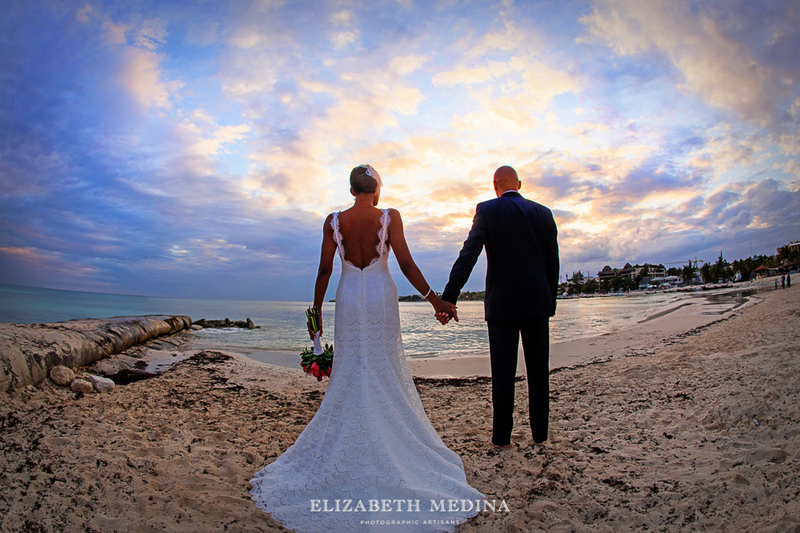 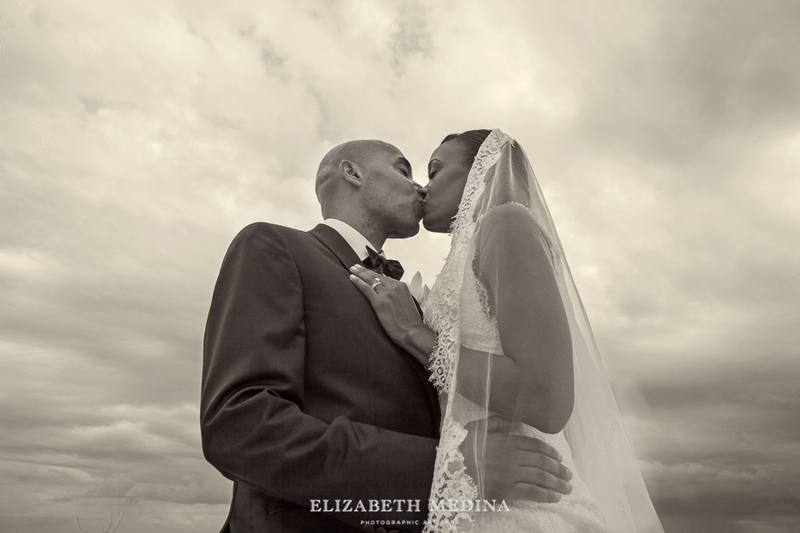 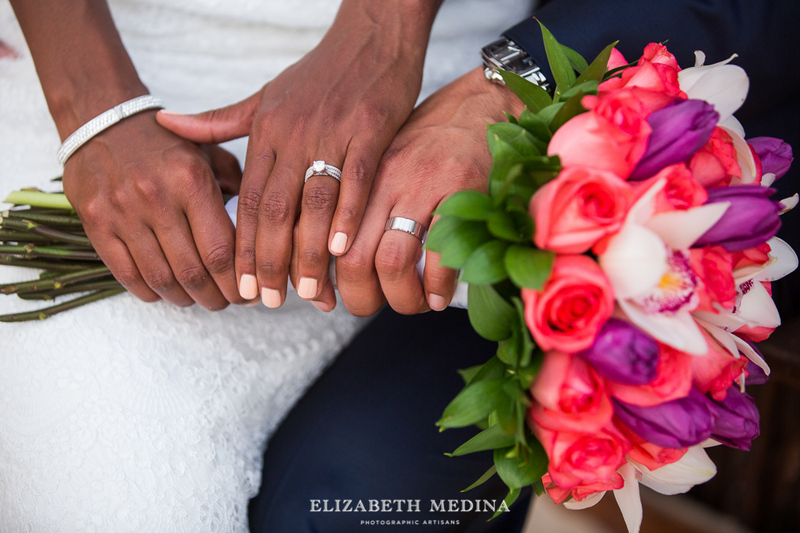 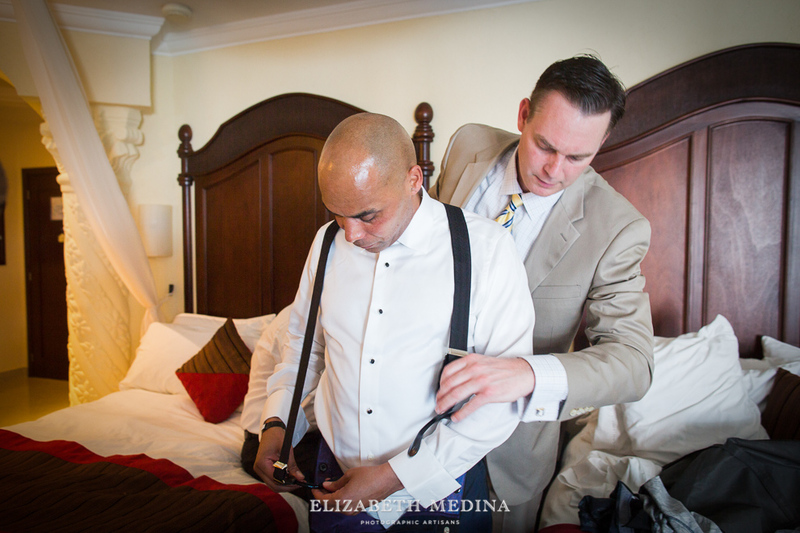 Elizabeth Medina Photographic Artisans, Mexico destintion wedding photographers, Cancun photographers, Playa del Carmen destination wedding, the Royal Playa del Carmen.